Physiotherapy treatment is an essential recovery method for any sciatica issues. Once you have been assessed, alongside your treatment will be an exercise plan, which is hugely beneficial to the success of your recovery. Using a regular combination of strengthening, stretching, and aerobic conditioning exercises, you stand a much better chance of recovering from sciatica, as well as becoming less likely to suffer from future episodes. Most exercises can help strengthen the spinal column and the supporting muscles, ligaments, and tendons. Most of these back exercises focus not only on our lower backs, but also our abdominal (stomach) muscles and gluteus (buttock) and hip muscles. Strong core muscles can provide us with pain relief as they support our spine, keeping it in alignment and facilitating movements that extend or twist our spine with less chance of injury or damage. Stretching is usually recommended to alleviate sciatic pain. Stretches for sciatica are designed to target our muscles that cause pain when they are tight and inflexible. One area in particular that needs attention is our hamstrings. Extending from our pelvis to our knees in the back of our thighs, our hamstring muscles can often be the root cause of sciatica, therefore, it is hugely important that correct and thorough stretching form is practiced regularly. Another stretch that is often helpful in easing sciatica is the Bird Dog move: After getting on your hands and knees, extend one arm and the opposite leg. Your arm and leg extensions are then alternated. A more advanced version of this exercise is the Plank Bird Dog move, in which the extensions are done once you are in the plank position on your hands and toes. Some form of low-impact cardiovascular exercise, such as walking or swimming can very useful as aerobic activity encourages the exchange of fluids and nutrients in our bodies to help create a better healing environment. Aerobic conditioning also has the unique benefit of releasing endorphins, our body’s natural pain killer, which can help reduce sciatic pain. Amongst everything else, one of the easiest things to do that can help us while we recovery is STAYING hydrated. Water is such a vital component when it comes to the performance and recovery of our muscles. Talk to your Physiotherapist about alternative therapies that include both strengthening and stretching, such as, Yoga, Tai-Chi and Pilates. 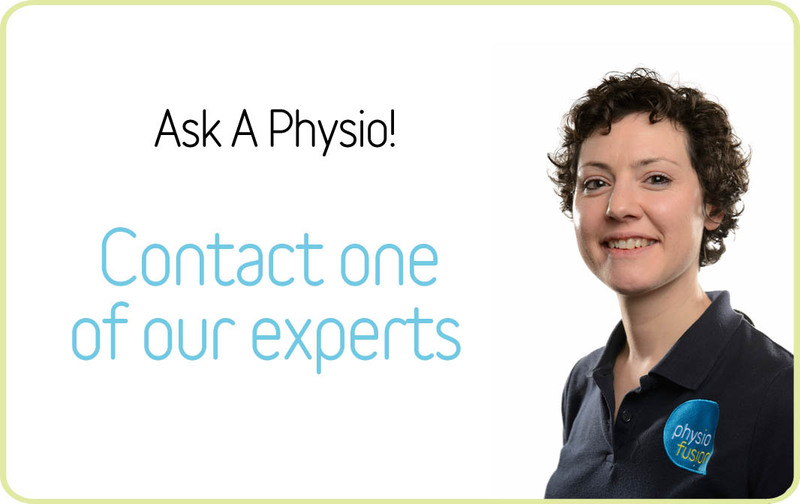 If you are struggling with sciatica or you are unsure if you are suffering with sciatic pain, talk to our team of experts for free using our Ask-A-Physio service. Alternatively, you can call us on 01282 453 110 to discuss any of your issues.